CreateWriteNow’s celebrated journaling program, 24 Days Get Healthy Journaling Challenge, is scheduled to return Friday, April 1st, 2016. Previously titled 24 Days Whole Health Journaling Challenge, the program provides a refreshing approach to improving health through a unique mix of daily journaling combined with online guidance and support. Through a series of daily journaling exercises, participants embark on a personal wellness journey that embraces all aspects of health—from physical and mental to emotional and spiritual. The well-loved program encourages participants to take ownership of their health by assessing current patterns of behavior and identifying areas that need attention. Using journaling as a tool, participants set goals to achieve desired changes, and ultimately enjoy better health, greater energy, and more joy. Participants are also invited to join a private Facebook group, where they can share experiences and support, and connect directly with Mari McCarthy, journaling therapy expert and founder of CreateWriteNow. All that is needed to participate in the Challenge is the related eWorkbook—and a pen! eWorkbooks are available for purchase in multiple formats including eBooks, which can be purchased at the CreateWriteNow store. Other formats include downloadable versions for Kindle, iPad, and NOOK. CreateWriteNow teaches individuals how to use the power of daily journaling for self-healing, self-growth and personal transformation. 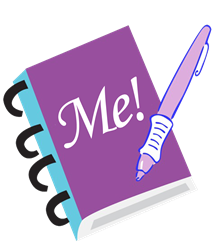 Founded by Mari L. McCarthy, who uses the power of daily journaling to overcome the debilitating symptoms of Multiple Sclerosis, the company publishes regular articles, journaling prompts, videos and eBooks and holds a number of interactive journaling challenges throughout the year.